This is G. P. Hall, ruminating about his latest project, an album featuring his various guitars, electric and acoustic, set against a lush, multi-textured backdrop of orchestral sounds, triggered by a Godin guitar and keyboard. Previous recordings (on EBL –Esoteric Binaural Label – and FMR) have seen Hall move easily and unaffectedly between fearsome industrial sound sculptures, thundering rock beats and the most delicate solo acoustic meditations, and a friend to whom I recently played Embarkation immediately picked up on this multi-faceted appeal by discerning elements of both Robert Fripp and Ralph Vaughan Williams in the music it contains. Hall himself acknowledged the strength of this beguiling mix in one of his previous CD titles: Steel Storms and Tender Spirits, and the music on Embarkation, which contains a half-hour guitar concerto, two shorter pieces (The Worm Forgives the Plough and Kaleidoscope of Stars) and The Trinity/Arish Mell Symphony, embodies Hall’s fascination with‘journeys, be they physical or metaphysical’, and draws its inspiration from a wide range of sources: ‘the ocean, the mountains, love, [and] a sunset behind an abandoned industrial site’. sound sculptures', others more straightforwardly rock- or blues-based. (filmed by Peter Remke at London's Hope and Anchor) is therefore entirely appropriate. background rumbles and roars to eldritch shrieks and steelmill-style pounding. work of a genuine original who should be much better known. music, provides the best exposition yet of his multifaceted talent. textures and sounds makes him unique"
electric shavers. His music, however, has a great deal more to recommend it than mere novelty value." cosmic noise, filigree acoustic delicacy and straightforward screaming electric guitar. investigated by anyone interested in the outer limits of electric music." instrument, Hall uses it as a medium, an interface, a series of expressions so vivid they burn. no stranger to the guitar. 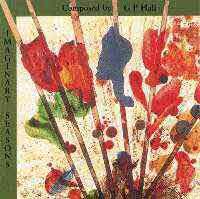 soundscapes, Hall creates some of the most remarkable music you could possibly hear from the humble guitar. he played them with, such as Velcro, crocodile clips, and what the effects are he uses. ambient and moodier side. The Lonely Road is a cracking, subtle piece that is just so, well, beautiful. playings. A superb introduction to his music. on Marks On The Air. album with some effective clustering on the piano, layered through with some stunningly effective guitar. and lush piece - it's just not long enough! isolation and a certain sombreness that underpins it all. There are 27 tracks in all, split into blocks under the heading of Spring, Summer, Autumn and Winter. This album is perhaps more diverse, and recalls to mind Hall's previous flamenco, blues and jazz experiences. perhaps the best on the album. yes, it's the title track. I've heard, now, three versions of this absolute classic, and all three are stunning. such as Lol Coxhill, Paul Rutherford, Lyn Dobson, Tim Hill, Matt Lewis and Sam Brown to name but a few. on the acoustic guitar - a really beautiful piece, and full of imagery - feel that sun!. with a Mediterranean feel to it (as you'd expect with a title like that). minutes, seems to combine the above two major styles. on the sax. Heat On The Horizon is again, acoustic, mainly, and is dripping in mood and ambience. (another version of this is on Mar-Del-Plata), and Sea Sorrow (another commissioned piece). anything, and I don't have to like his music. But I do like his music, very much. I suggest you try it. As to which album...Like I said earlier, that's just impossible to say. camp, but that is really only by default. subject them to a highly idiosyncratic transformation. production process, from a small wind-up toy car to a strip of Velcro or a palette knife. these physical processes at work. strings - as well as being inherently theatrical. than it is in reality. to coalesce around attractive melodic fragments, while others were unambiguously tuneful. guitar techniques are sound, whatever other technical hybrids he has developed. and New England Woods recalled a cross between Aaron Copland and Pat Metheny. an open window). 'Imaginary Music' maybe sums it up better." TELL US ABOUT THE EQUIPMENT YOU USE? adjustments to each composition, so I like to be fully in control." HOW DO YOU MIX YOUR SOUND ON STAGE? foot down on the volume pedals." HOW LONG HAVE YOU BEEN DEVELOPING INDUSTRIAL SOUND SCULPTURES? on a radio station from time to time. as the other one, a single decked shuttered piano frame, was tuned with mainly percussive chords. 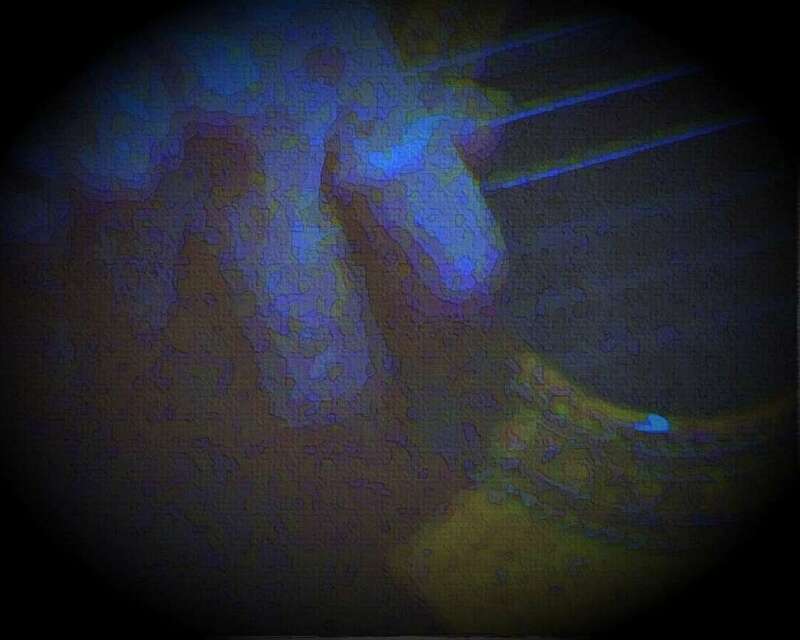 had to be hit, I took out some of the strings and then made them into banks of tuned chords. 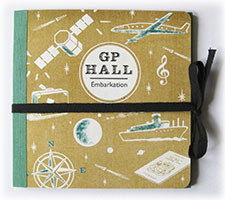 It was also scored for guitar, bass, clarinet, glockenspiel, hammer dulcimer and percussions. along with other tracks of more recent recordings." aluminium fittings, I have had it about 18 years and it's the only one of its kind as far as I know. piano, keyboards and soprano sax when needed." DO ALL YOUR COMPOSITIONS HAVE EFFECTS? thumb that is on the fret board. It was painful at first and took some time to perfect." called "Acrylic", that I like very much, I never seem to tire of "Wide Asleep" by Michael Manrig. most of my money and a young daughter of nearly three, who takes up all my excess energy. imagination is where I get my inspiration." TELL US ABOUT YOUR EARLY YEARS? penniless three times and eventually after 15 years of hell, I ended up in a recovery programme. music and at first it was a real hard slog. But as if to compensate, I had extraordinary insights. my music in any other way other than with a clear head, because it requires so much concentration. supportive ways and gave me encouragement when I had many setbacks." artists - possibly at the Barbican in London or at Wembley plus three or four other cities." I it's probable that anyone reading this article will never have heard of Graham Peter Hall. into the psychedelic blooming that surrounded such clubs as the Roundhouse and Middle Earth. His interest was then and still is mechanical sculptures in music. Gigs were played where pianos were dismembered and the debris attacked with a hammer. years improving his guitar style. In fact, it's quite distinctly different, as Hall explains: "I'm not interested in long repetitive cycles. to Vivaldi walking across a building site! the listener on a journey through different phases, mental locations, and states of feeling. entitled Borrowed Time, will be released some time in the near future. rock; and to that we can add ambient music and electronics. gypsies to assimilate the "duende" of the flamenco guitar. 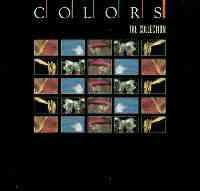 "Mar-Del-Plata" and "Figments Of The Imagination", and appeared on the "Eclectic Guitars"
compilation traveling alongside Frank Zappa, Robert Fripp, Bill Frisell and John Zorn. catalogue and listening to his new work, we are beginning to give credit to such opinions. This musician mixes the most wonderful melodies and the most beautiful chaos in his music. but we are sure that you will never be bored with this amazing work. performance from Dave Stewart & Barbara Gaskin. hellwhackery for the possible glances of wonderment. pocket fan and Velcro. Sounds like a joke. Nope. instrumentalist and the equally complacent indulgences of the full-on avant-garde blower. the pseudo-intelligentsia - a stock of lovely, emotive music. governor motor rather than Reznor-ish car-crushers or stamping presses). but it's generally in order to touch your sympathies. humanistic New Music improv you'd expect from someone like Simon H. Fell or Fred Frith. half-unplugged take on a Robert Fripp Soundscape where guitar textures span out into infinity. by a geological murmur of bass, or the final hot gusting of "Sierra Morena Dust Storm"
with serrated steel bars from his box of implements. Where technology does play a more direct role, Hall's humanity doesn't falter or go under. oil-paintings in music and tone. piano chords and thumping bass a mass of irregularities; and "Plutonium Alert"
like an outtake from "Starless And Bible Black". in slow disquiet, enclosed by knocking metal. under heavy pressure and plaster your neck hairs back against your rising hackles. It's the centrepiece, "The Estates", which pulls all of "Mar-Del-Plata's" elements together. improv ensemble with Hall's own quiveringly angry solo acoustic guitar. of new roads and buildings swarming over beloved landscapes like a horde of locusts. continue to drift through the art world with a life of their own. aiming for, but its a close-run thing. Wiltshire), it's even more pronounced. enveloping, directly tactile environment it requires. Compared to "Mar-Del-Plata's" more assured sonic constructions, "Marks On The Air"
endearing extra dimension of naivety. gurgles of sound and impenetrable hedges of distorted overload. into a heat haze; the slow rolling pummel of drum-sounds. upwards; before the mass of sound crams back in again, like a cloudburst. elephant-trumpet of a rotary-saw sound. expressing Hall's gently appealing emotional nakedness as player and creator. There are a couple of unselfconsciously winning little cameos of "tiny music"
simple yet exquisite acoustic child- song patterns of "Suvi's Little Crickets"
are orbited around the mike. resigning itself beautifully to its own impermanence. benevolent ghost in the machinery. Not a bad set of credentials, at that. acoustic meditations ...a genuine original"
"Steel Storms & Tender Spirits provides the best exposition yet of his multi faceted talent." "I am really impressed with the originality"
Beverly Hills International Film Inc.
a drawerful of oddments. It's all this and more"
benevolent ghost in the machinery. Not a bad set of credentials, at that..
"Some of the sounds he gets out of his guitar are spooky"
play reminded me of why I started playing in the first place"
enriches with his beautiful melodies"
Volker Seimans Collossus Magazine Finland. ..."A music without any age on the edge of the infinite"
"The sound was mixed instantly by Hall and digitally returned to the audience. 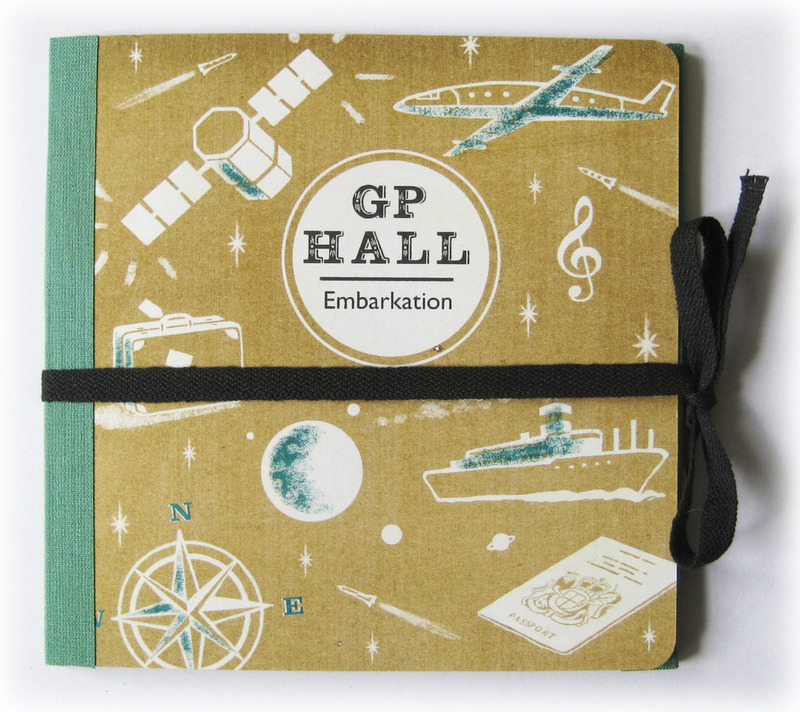 "for me the high points included one straight acoustic evocation by G P HALL"